Your tree identification color key, tree descriptions, and leaf shape identification chart are all included in the downloadable filePDFs linked below. Complete planting and transplanting instructions are delivered with your trees. Or, you can review and download them here. Please contact Member Services if you have any questions about your trees. More complete information about each tree can be found in The Tree Book or online in the Tree Guide. We want your tree planting experience to be an inspiring success. Our trees are delivered with natural bare roots which have been dipped in hydrating gel prior to shipment to keep the roots moist and healthy. 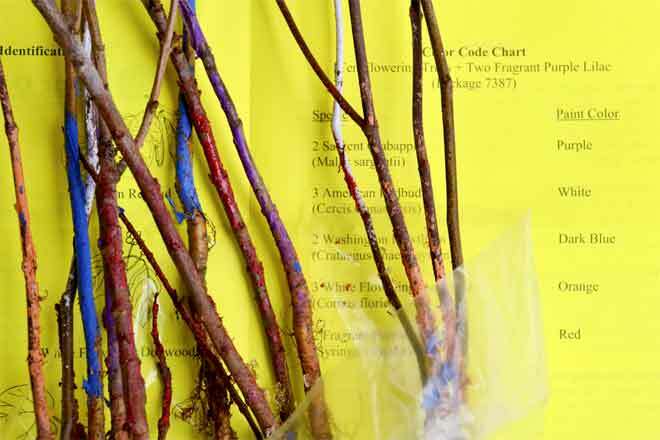 As their abundant, fibrous roots aren't confined by a container, bare-root trees get off to a more vigorous start compared to containerized roots which typically need more time to adjust to transplanting. Bare-root trees typically surpass the size of larger containerized trees in only a few years. We've revamped our tree identification sheets for our fall 2018 shipping season. 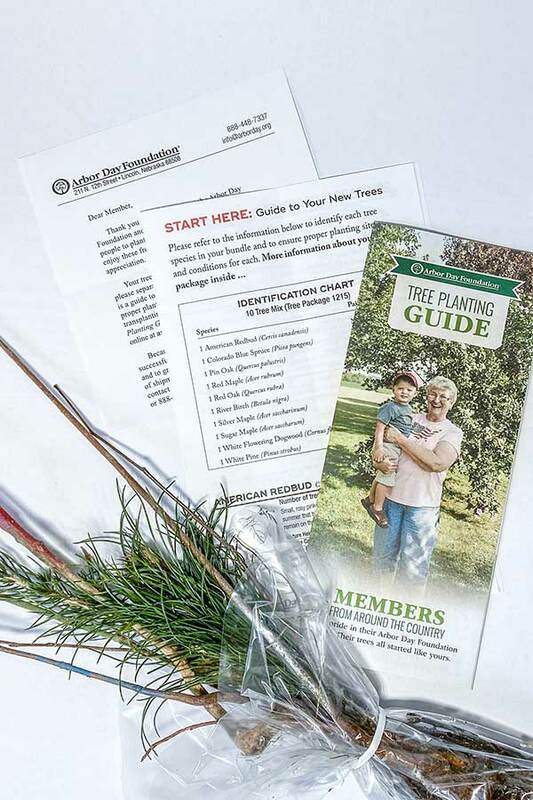 If you received your membership tree order prior to our fall 2018 season, please click here to view your package's tree identification sheets.